In the fifth blog of the “Real Change in Romania” series, Becky Walsh, Director of Casa Shalom, gives an update on her orphanage and shares how nutritional support has impacted children in her care. Currently, we are expanding the village outreach part of our ministry. We ran our children’s home for 14 years and we saw the advantages and disadvantages in this type of ministry. Now we are helping to provide families better conditions for their children at home. We have many projects as the need is so great. We are really making a difference in the lives of more than 200 kids. We are trying our best to help all of the families, but it costs a lot of money for materials so pray for us that we can come up with new ways to raise the needed funds to help these poor families. When we started the orphanage, some of our kids were very malnourished. Now, since taking the nutritional supplements, they are all healthy-looking. Since we started giving them the vitamins out in the village, the children have not had as many colds or as much sickness and if they do get sick, they seen to recover more quickly. It’s wonderful and we know that the vitamins played a big part in this positive change. The children have more energy, less colds, don’t miss school very often, and have very good appetites now. 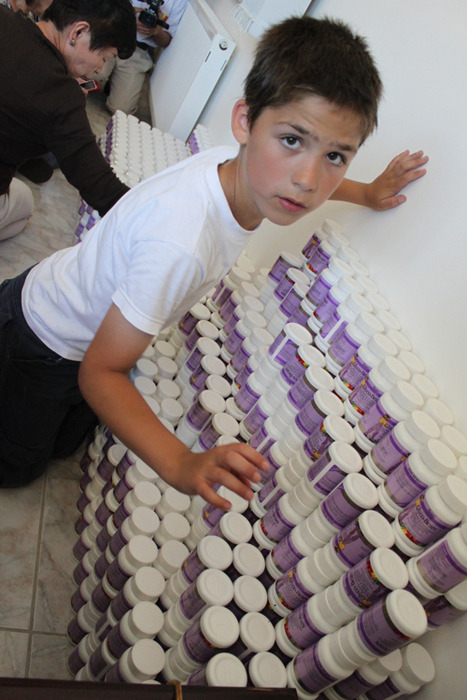 We want to thank MannaRelief for their investment in the lives of Romanian children so they can be healthy and strong. This update is made possible by the Spare Change for Real Change campaign. Casa Shalom is a destination of MissionRomania 2010 scheduled for July. Blog photo from MissionRomania 2009.